We will provide you with a free and non-binding estimate immediately! Speak to our 24/7 customer support at 020 3746 1366 or via our contact form on our website. We can provide you with affordable and reliable deep carpet cleaning by using the latest and most efficient carpet cleaning methods suitable for rugs and carpets with natural or synthetic fibres. Our dry carpet cleaning Holborn is the easiest way to clean and rejuvenate delicate carpets or rugs that are sensitive to water water. 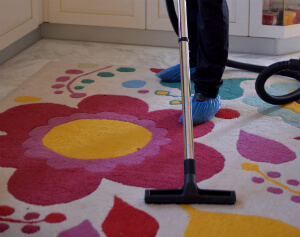 The carpet cleaners inspect and vacuum clean the carpet, pre-treat any spots and stains which can be taken out and move forward with the dry compound cleaning process. It requires no drying time. The steam carpet cleaning is done with a powerful hot water extraction machine. The steam carpet cleaners will shampoo and then wash the carpet and will extract almost all of the water used back into the cleaning machine. This means that your carpet will need around 3 hours to dry. If you are in a hurry, we can offer you an air moving system to speed up the drying process to 1 hour. We are among the recognised carpet cleaners in Holborn WC2. Since the beginning, Our company has done everything to develop into a leading and top preferred carpet cleaning service in the area. Our professional cleaning services company works with a growing number of business and private customers. We will get all carpet types cleaned safely and a special fibre protection can be applied. We invest in and work with the most advanced professional cleaning technologies, methods and solutions, because the satisfaction of our clients is our main concern! To increase the durability of your carpet, and to get it look like it is brand new, order our expert carpet cleaning service now! Ashlee House Cleaning provides premium quality, affordable and reliable carpet and rug cleaning in Holborn WC2, suitable for domestic and commercial properties as well. We are constantly investing in hiring the best cleaners and personnel, as well as in buying the latest and most modern professional cleaning tools, technologies and Prochem certified methods for cleaning, which are tested and perfectly safe for people, animals and the environment. Our cleaners all work in accordance to the safety and quality procedures which we have implemented, as well as the detailed cleaning checklists which we have developed for every professional cleaning service which we provide. You can choose any day of the week for our carpet cleaning experts in Holborn WC2 to visit your business or home property and deep clean your rug or carpet. We have weekend and public holiday availability. Book earlier for a better price. Call 020 3746 1366 or send us an online request. The operators are always available to process your booking in up to 2 hours. We can come on the same day in a case of emergency. We have reasonable prices for our professional carpet cleaning service. If you book more than one service at once, you will get a discount. Estate agencies, landlords and regular customers get special rates. Let us clean your carpets to perfection - book with us!